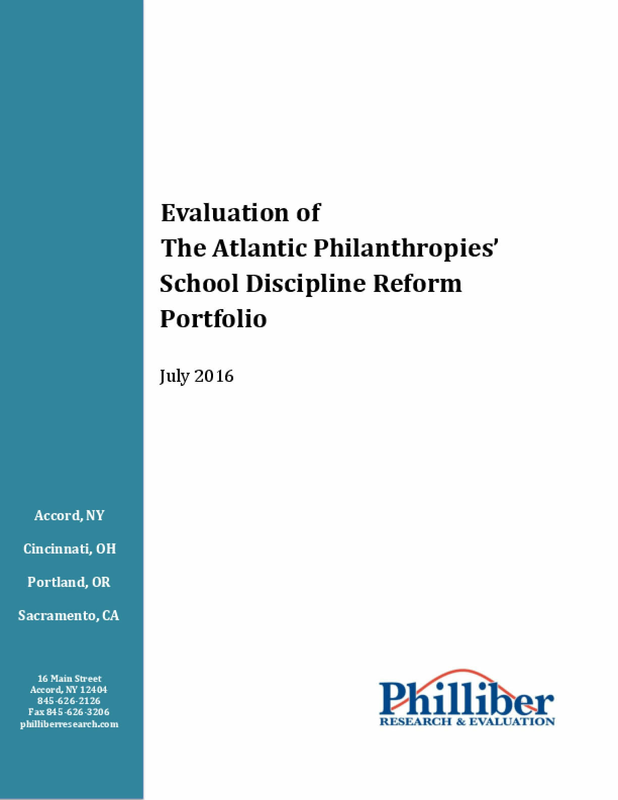 This report summarizes findings from a two-year evaluation of The Atlantic Philanthropies' school discipline reform portfolio. The portfolio, which ran from late 2009 to 2016 and invested over $47 million dollars in 57 grants to 38 different grantees, was created to improve educational outcomes for students by reducing the number of zero tolerance suspensions, expulsions, and arrests in schools, particularly for children of color, and enhancing the use of positive disciplinary practices that keep children in school and engaged in learning. Atlantic set a nationwide goal to reduce school suspensions by one half and reduce discipline disparities by one quarter. Copyright 2017 by Atlantic Philanthropies. All rights reserved.